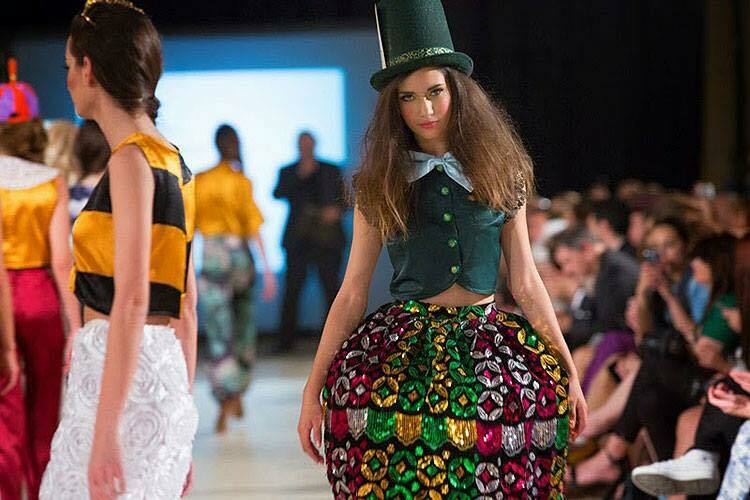 Through her fantastical approach to fashion, Sarah Caruana Dingli channels Alice in Wonderland in her wondrous couture collection. With eclectic printed fabrics, colorful satins, lace and sequins, the line is able to tell a visual story. Ambitious use of texture is seen on several skirts from white, bridal-like fabric adornments to layered scales of black fabric cutouts. A variety of silhouettes allow diversity to come through the line, my favorite being the rounded, short hoop skirts. Playful hats tie in the fairytale references. The origins of Sarah’s inspirations are well read throughout this eccentric collection.